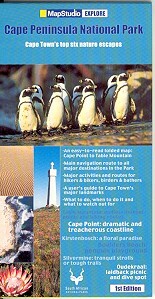 New edition detailed visitors guide and touring map to the Cape Peninsula. 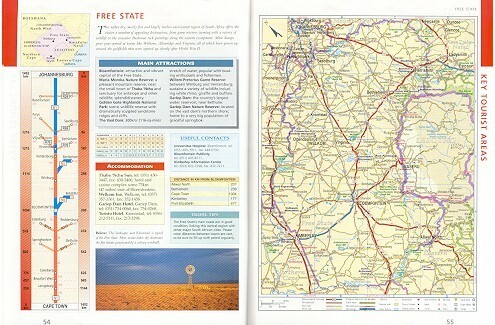 Includes detailed routeplanner, points of interest and activity areas along with a check list for major sites. 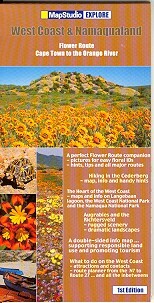 Detailed exploring map of flower route region at 1 : 417 000 scale; information boxes on activities and facilities available; over 45 detailed flower identification photos. 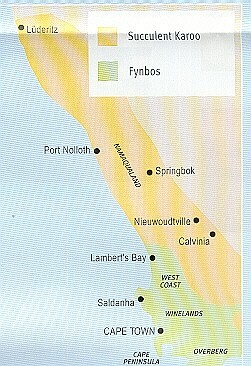 Includes: entire route from Cape Town to the Namibian border; Richtersveld national park map; Namaqua national park map; West Coast national park map; new Vanrynsdorp street plan; Cederberg map; Malmesbury; Lambert's bay; Citrusdal; Clanwilliam; Springbok; a double-sided information map supporting responsible land use & promoting tourism; attractions and contacts; route planner from the N7 to route 27 and everything in between. 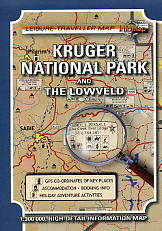 Detailed map of KwaZulu-Natal at 1 : 250 000 scale; KwaZulu-Natal; Pietermaritzburg; Drakensburg; Midlands; Battlesites; Route 617 & Bushmans River Region; N3 route from Harrismith to Durban; full-colour images & informative text; simple easy-to-use map; detailed indexed Streetmap of Pietermaritzburg; detailed hiking trails. 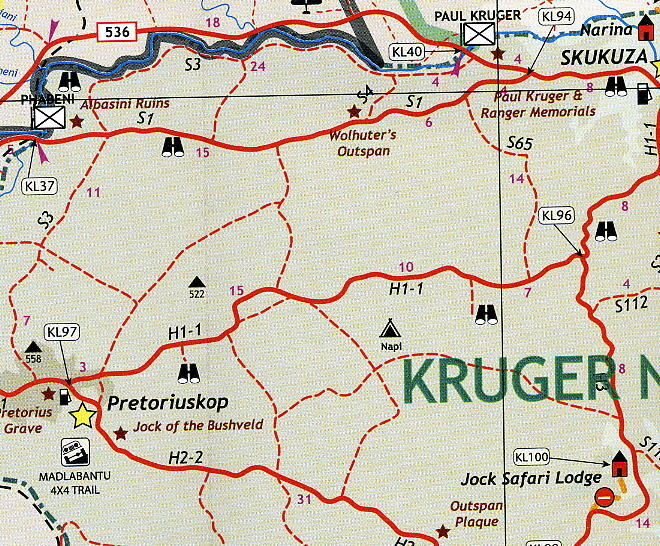 Easy-to-use maps symbols: Hotels; lodges; rest camps; campsites; caravan facilities; caves; places of interest; lookout points; hiking; Trekking & Walking; informative text; GPS CO-ordinates. 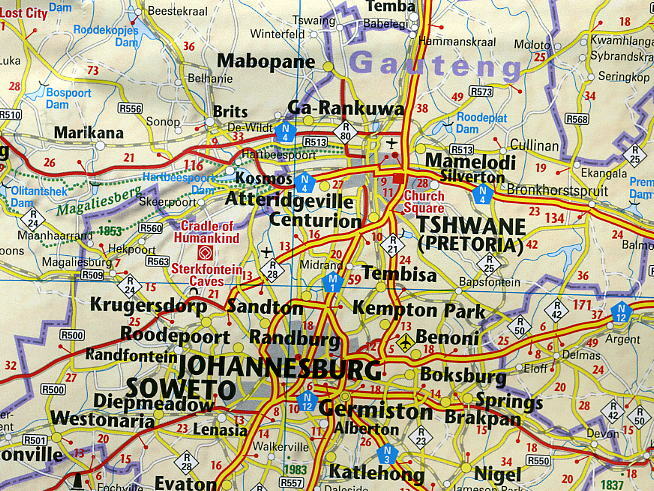 This map shows: the area north and west of the northern part of the Gauteng conurbation (Pretoria/Centurion/Sandton/Megalisburg). Latitude and longitude lines are drawn at 30 inch intervals. 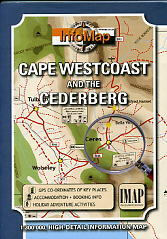 With 34 pages detailed topography and continuous map section, this is the latest edition, completely updated and revised to suit your needs. 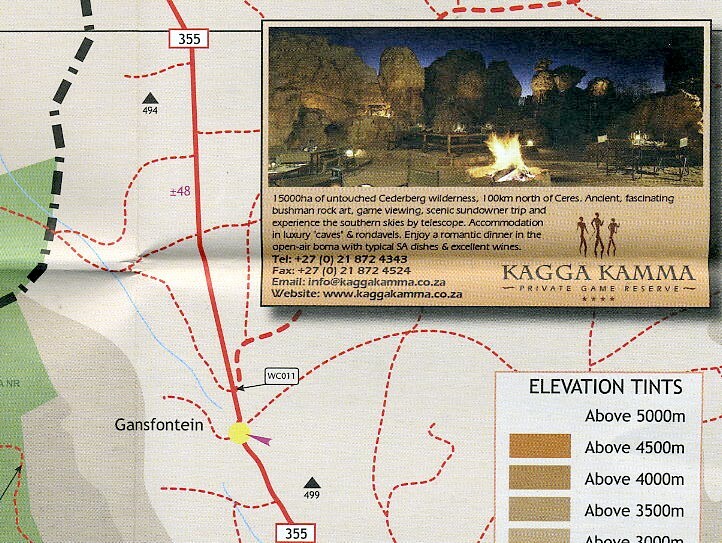 Make this coming festive completely interesting and make it what you want it to be by getting your hands on this information guide. 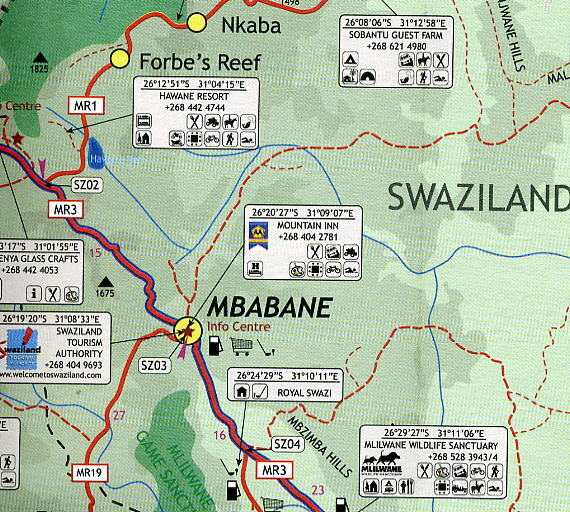 It contains area and town maps, distance table, detailed simple strip routes, latest Xhosa and Zulu spellings and all new names. 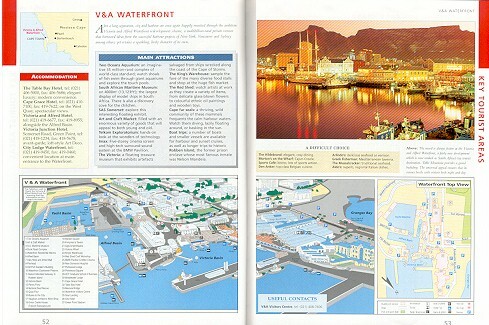 It also feature three airport maps together with their detailed layouts. 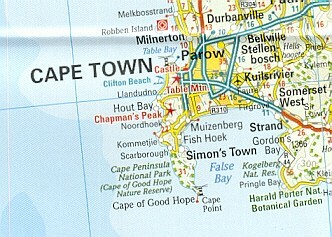 Double-sided map . 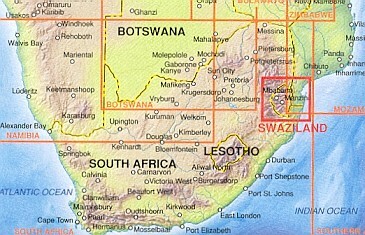 Topography shown by colors . 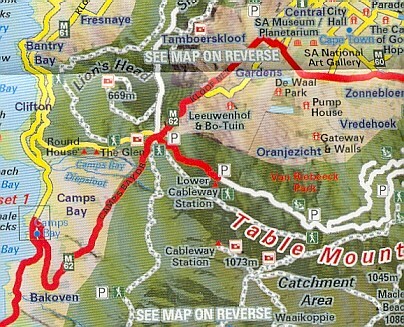 Road and tracks network with distances . 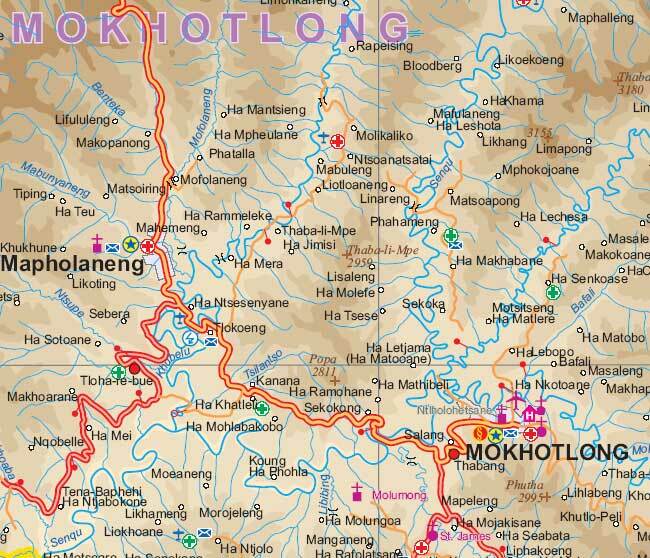 Tourist and accommodation iinformations . 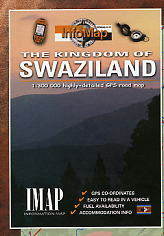 GPS compatible . 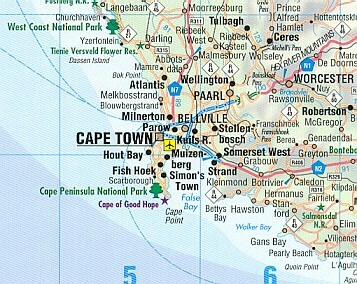 The Cape Peninsula with an enlargement for the Table Mountain National Park and a street plan of Cape Town on a double-sided map from Map Studio. 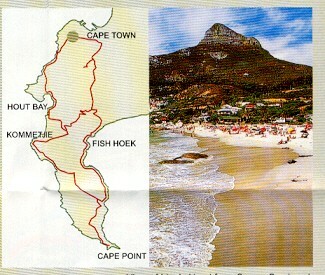 Extensive lists provide information on best locations for various outdoor activities etc. 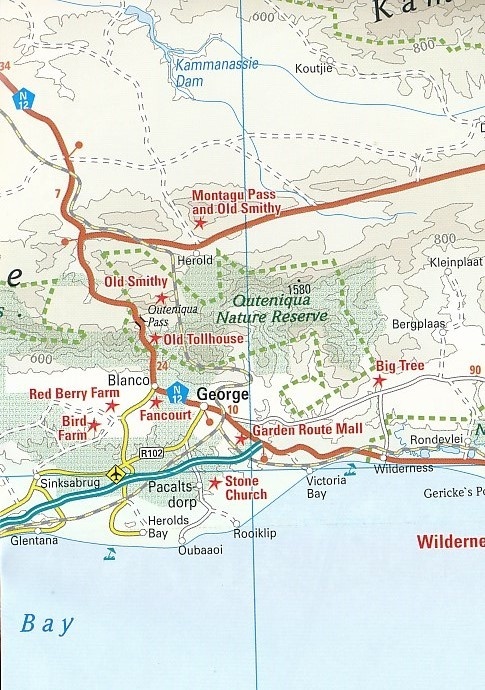 On one side is a contoured map of the whole of the Cape Peninsula at 1:55,000, highlighting main hiking trails, numerous places of interest, etc. 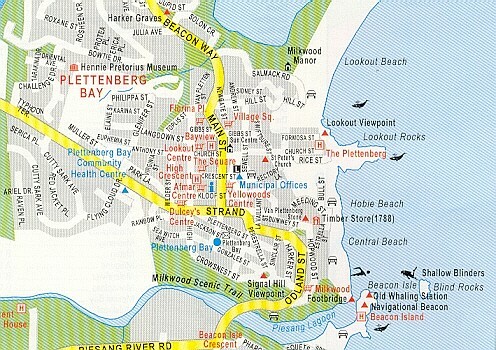 The map is surrounded by panels, all cross-referenced to the map, providing information on various outdoor activities in the area: diving, surfing, kite surfing, sea kayaking, paragliding, climbing, nature watching, etc. 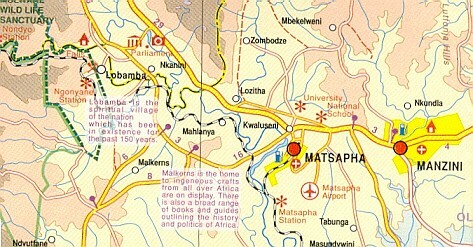 The map has contours at 20m intervals with numerous spot heights. 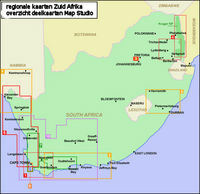 Geographical coordinates are provided only by margin ticks at 5’ intervals. 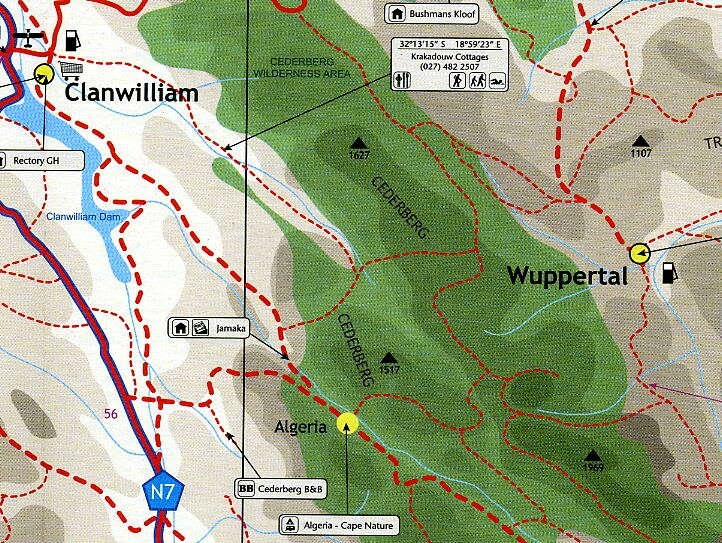 A small inset highlights the course of a six-day Tip to Top Trail. 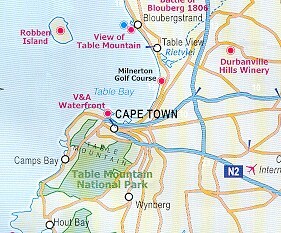 On the reverse Table Mountain area with Cape Town is presented in greater detail at 1:24,000, with more hiking trails and recreational sites, etc. 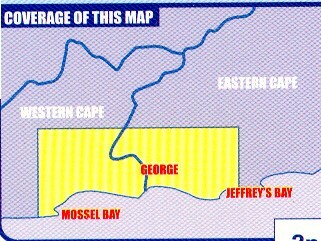 Road map of the Western Cape Province with an enlargement for the Cape Peninsula and 27 street plans of the central areas in main towns. 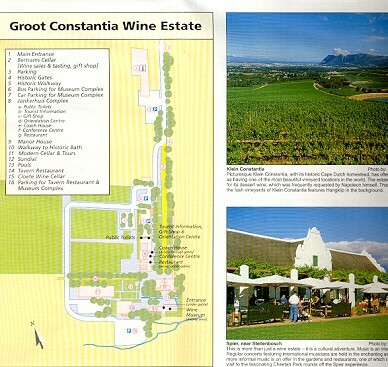 The map is annotated numerous places of interest, vineyards, etc. 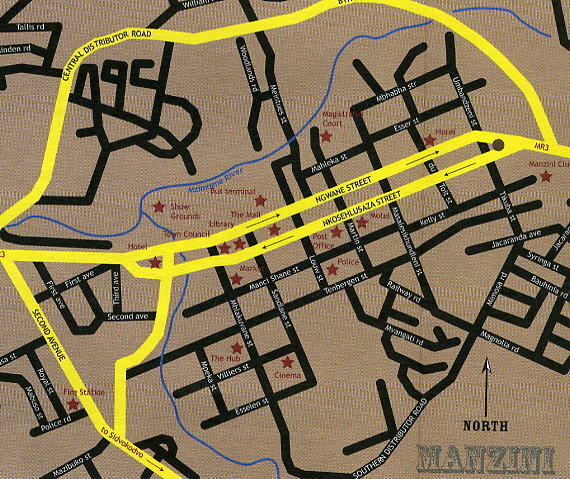 GPS coordinates are provides for main road junctions. 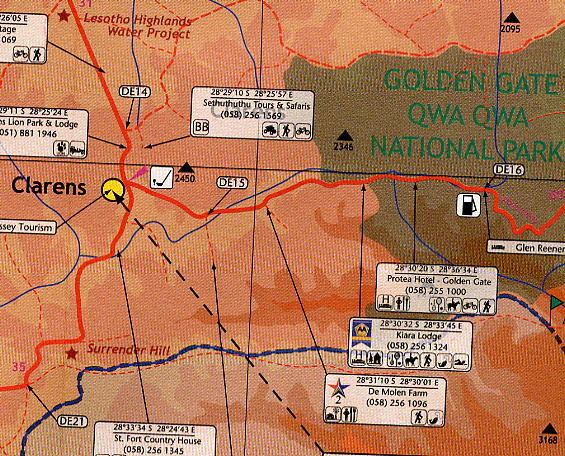 The map is double-sided, dividing the province east/west, and shows its road and rail networks. 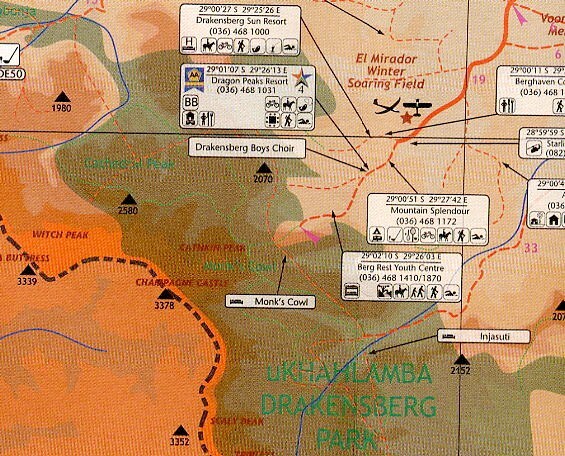 Unsurfaced minor roads and selected 4WD tracks are included and GPS coordinates are provided for over 150 road junctions. 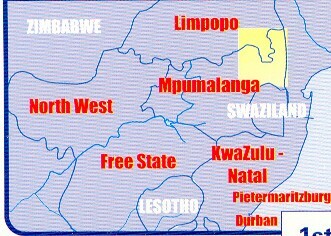 Railways are shown with stations. 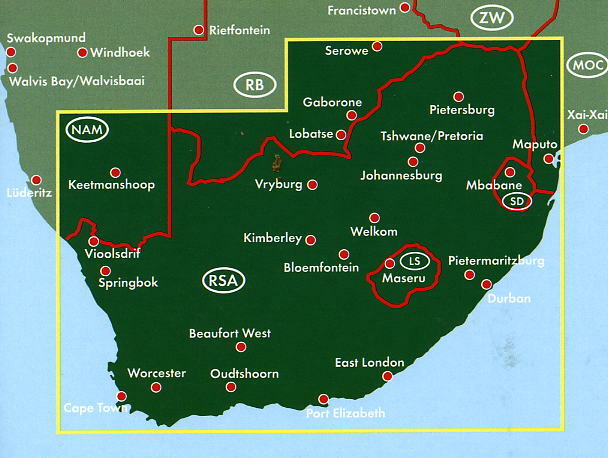 Numerous places of interest are highlighted, including wineries, historical sites, nature reserves, bird watching sites, etc. 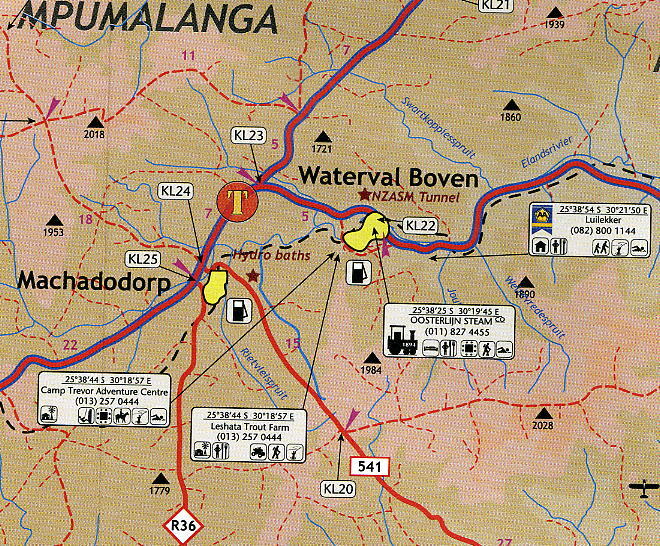 Topography is indicated only by mountain passes marked along the roads and occasional spot heights. 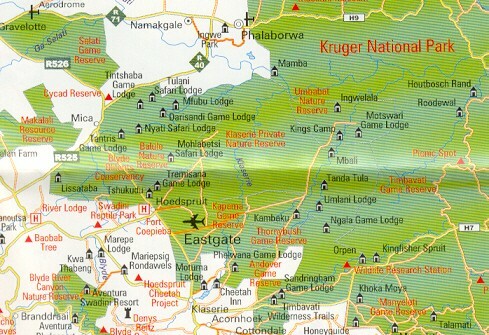 Nature reserves and other protected areas are prominently marked. 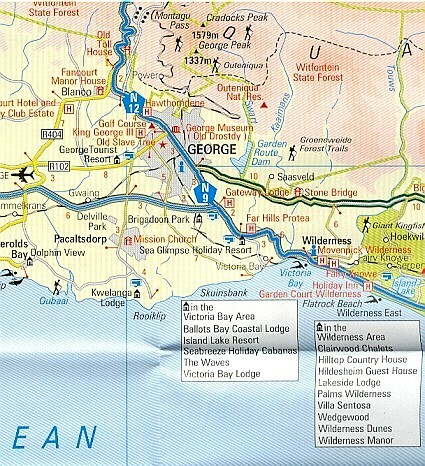 The map is indexed and in addition to the tables with GPS coordinates for road junctions has latitude and longitude margin ticks at intervals of 1°. 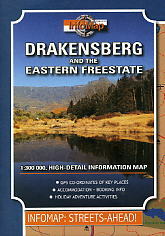 Easy-to-read full colour maps & tourist friendly text; detailed map of winelands at 1: 130 000; over 500 places of interest featured; detailed area maps: Stellenbosch; Franschhoek; Paarl; Wellington; Tulbagh; Breedekloof; Worcester; Robertson; Little Karoo; West Coast; Olifantsriver; Swartland Region; Selected hotels & accommodation; photographs in colour; contact details & tourism information; calendar of events; GPS co-ordinates; places of interest; shopping malls & cheese tasting; street maps of; Cape Town, Paarl, Wellington, Franschhoek, Worcester, Robertson, Tulbagh & Stellenbosch; site plans of major wine estates; great for wine routes & scenic drives.